Fuel Injection Service: We use BG Diesel Care and BG244 to rid your engine of combustion deposits. Diesel engines are extremely sensitive to the deposits that form throughout the fuel system. Even small deposits can cause substantial reductions in engine performance. Engines with deposits experience reduced fuel efficiency, engine clatter, diminished performance, and other drivability issues. Installed using the BG Inject-A-Flush® for Diesels, BG Diesel Care will quickly and safely clean carbon deposits from diesel fuel injection systems. A professional use injector cleaner, it is designed for use in all diesel engines. Diesel Oil Conditioner Service, it is designed to condition oil in modern high-output diesel engines. 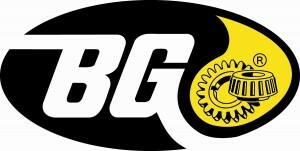 Loss of compression results in decreased performance, reduced fuel economy, higher emissions, possible engine sludge and a greater degree of drivability problems BG 109′s ring-clean technology restores compression by softening, emulsifying and dissolving hard-to-remove deposits that can build in less than 30,000 miles clogging rings and seals. BG DOC Diesel Oil Conditioner maintains like-new diesel engine power and performance, neutralizes acids and acid corrosion, reduces friction and wear on engine parts, stabilizes viscosity, and prevents sludge through increased oxidation control and soot scatter™ technology. BG DOC is compatible with all diesel engine oils including synthetic and multi-grade.